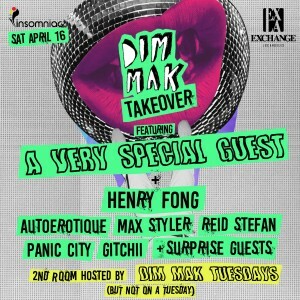 Henry Fong – Rising DJ and producer Henry Fong is well known for his killer electro beats, energetic sets and crazy hair. His rise to stardom was surely seen this year as this breakout artist graduated from college and was determined to put his music on the map, which he successfully did by releasing hit tracks, such as “Stand Up” on none other than OWSLA Records. His production has been supported by superstar DJs such as Hardwell and Avicii, and this summer he’s embarking on a world tour stopping in every city and country imaginable. He has released tracks with head honcho labels like Spinnin’ and Dim Mak as his ability to produce diverse genres such as progressive and big-room have landed him spots in some of the biggest shows of the summer from Vegas to New York.